J.H. 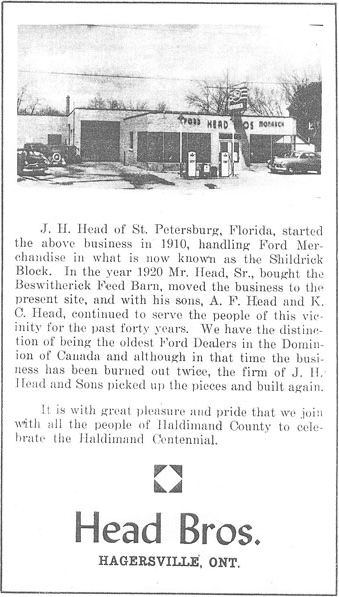 Head of St. Petersburg, Florida, started the above business in 1910, handling Ford Merchandise in what is now known as the Shildrick Block. In the year 1920 Mr. Head, Sr. bought the Beswitherick Feed Barn, moved the business to the present site, and with his sons, A.F. Head and K.C. Head, continued to serve the people of this vicinity for the past forty years. 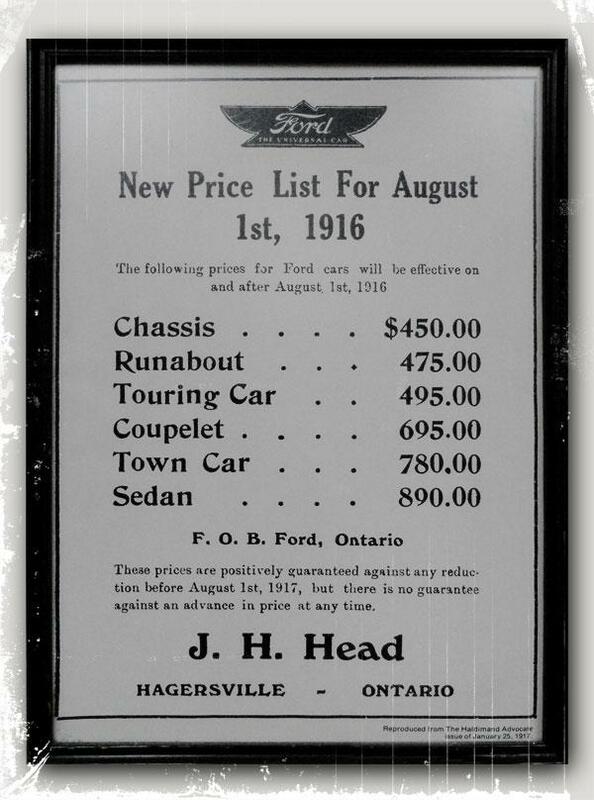 We have the distinction of being the oldest Ford Dealers in the Dominion of Canada and although in that time the business has been burned out twice, the firm of J.H. 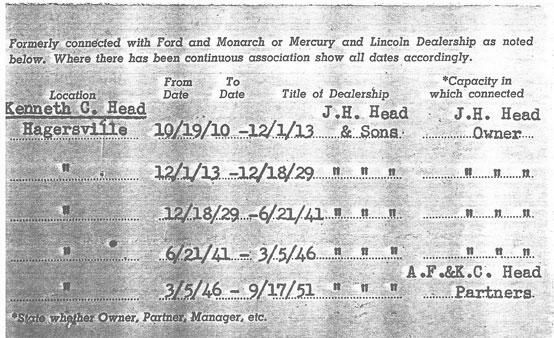 Head and Sons picked up the pieces and built again. 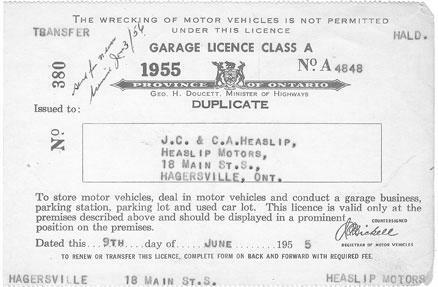 It is with great pleasure and pride that we join with all the people of the Haldimand County to celebrate the Haldimand Centennial.